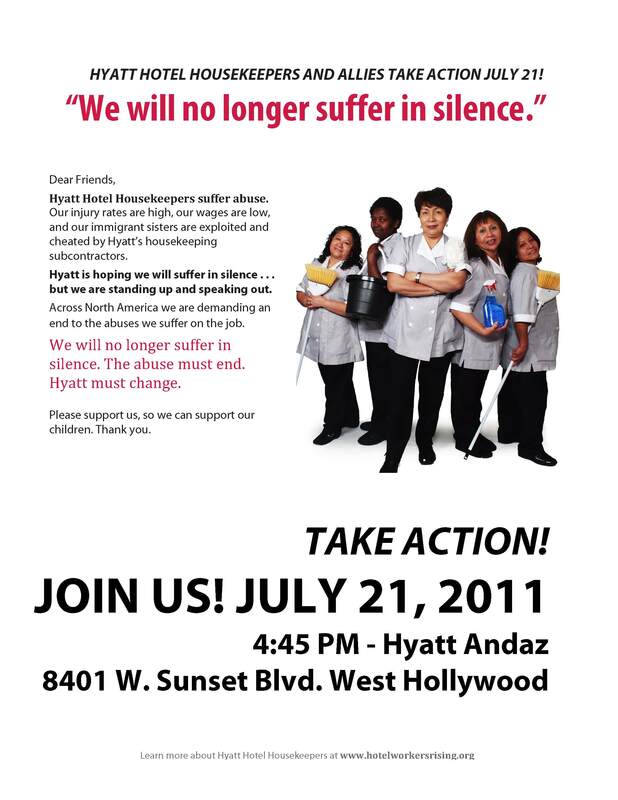 Your Help is Needed to Win Justice for Hyatt Hotel Housekeepers! Join the Coalition for Economic Survival and other community groups in supporting the efforts of UNITE HERE Local 11 to win a justice contract with fair wages and benefits, and safe workings conditions. Come to this action this Thursday, July 21.